The primary use for artist canvas material used to be for oil or acrylic painting. Now, rolled and mounted canvas has become a popular medium for photographers, graphic designers and digital artists. The choice of canvas, instead of paper or vinyl, gives projects a luxurious look. Create the look of an oil or pastel painting digitally through your favorite photo or illustration design software. Below are six great uses for custom printed canvases, either rolled or mounting it to a frame or stretcher. A family photo printed on photo paper looks good but why not take this to the next level? 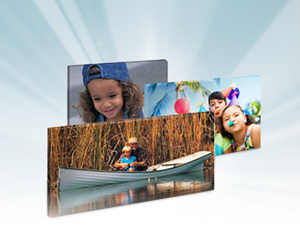 Try a 3′ x 3′ or 4′ x 4′, canvas print of your favorite photograph to display. The high quality print will be a conversation piece for all who view it. A favorite travel scene, cityscape, or wildlife photo can be transformed to look like a painting. The size can range from 1′ x 1′, up to 4′ x 4′. This would be beautiful for either home or office display. 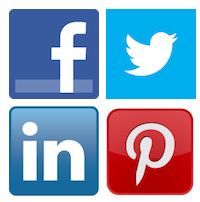 A business logo could be printed randomly, in multiple sizes, all over a canvas cloth roll. The resulting cloth could be used by the business to create custom window treatments. Churches frequently decorate with banners. Local churches have homemade canvas banners with felt cutouts attached. A more professional look could be obtained with the design printed on the canvas. Add your own tassels and add some clip on hangers to the top for an added accent. Mounted canvas squares of size desired, could be printed in colors of choice. Contrasting script letters could be printed on each square. These would then be hung as a group for an interesting appeal. Artwork could be printed on more than one canvas, than attached together for a 3D effect. Branches, or light balsa wood cutouts, could also be attached for texture and additional visual appeal. There are many more uses for canvases and these six are just a start. Pinterest is filled with creative pins to give your inspiration. Electro Image will work with you to bring your own idea to life. The material we produce canvas prints on is a 17mil artist canvas and the prints are produced in full color on one side of the material. Rolled canvases are shipped safely in a storage tube which can be reused for future use. You can then frame it on the frame of your choice. We also offer canvases to be shipped directly to you already mounted on a stretcher frame to conveniently hang right out of the box. 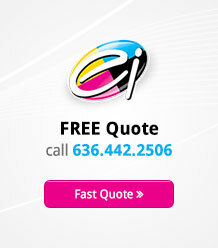 At Electro Image LLC, you can expect high-quality graphic designs and printing at a low cost. Our personalized customer service is second-to-none.